The experience of studio photography for your newborn and family is wonderful and a great way to capture those special moments of life, but how do you capture the everyday moments at home? Have you ever been playing with your newborn or toddler, and you stopped and thought, “Gosh, this would be a beautiful photo!” So, you run to get your camera to capture it, but your child was impatient holding a pose as you struggled with the camera settings trying to get the perfect shot? It might be easy to take a snapshot, but not always something that you’ll want to frame on the wall; it could be fuzzy, shadowy, and such. Documenting your family’s life and experiences with photos are just as important as scheduling professional sessions to capture the benchmarks. To help you along the way here are some tips for “Do It Yourself” (DIY) newborn photography and family photography, to help to give more quality to the images you snap and to help capture those fleeting moments. Your child loves spending time with you, so don’t pass up those moments when they’re giggling and playing – and view them as a perfect photography opportunity. A technique that works great for young children is to not make them pose and stop playing. Ask questions while they’re busy at work, maybe coloring a picture or building something with Legos. When they look up to answer you or show you their work, snap a photo. You can also be proactive by setting up scenes that they can interact with, where they won’t even know that it’s a photo shoot – set up a tea party with costumes, or a picnic, or a blanket and chair fort. Creating a new and special environment for them to explore will ensure that they’ll be having so much fun they won’t notice your camera. To get the best shots of your little ones, get down to their eye level - lie down, squat or kneel. Let them keep on with what they’re doing, but be ready to capture that glance or side smile. Some professional photographers use a trick where they have the newborn or child lay down on their back on a blanket. They stand over them and catch emotions by surprising and humoring them, like pretending to fall on them, or by making faces. As they react, snap the photo. Or if that doesn’t work, they kneel down and tickle them with one hand while shooting with the other. The fit of giggles is a great time to shoot a few priceless shots. As you can tell by the tips, to get the best photos it works best to have a camera that can snap quickly and doesn’t have a time delay. Some types of cameras will make it easier to catch fleeting moments, which is very important with child and newborn photography. Standard point and shoots have a time delay, and so will take more finesse and you may need your child to hold a pose or smile. Look into a little higher-end camera, like a Digital SLR, and you’ll have more luck and higher quality photos. But if you can’t make that investment, you can use some other techniques. One way to make the most of point and shoot cameras is to not have to use the flash. Make sure you’re near a window, outdoors, or in an area with plenty of light and turn your flash off. This will help give better color, and you won’t have the risk of red eyes and shadows. Perhaps you have the creativity to think of picture-perfect settings for your photos, you just don’t have the skills to know all the settings on your camera that could help you take great shots. Any type of camera can take great photos, you just may have to change the focus or light settings. 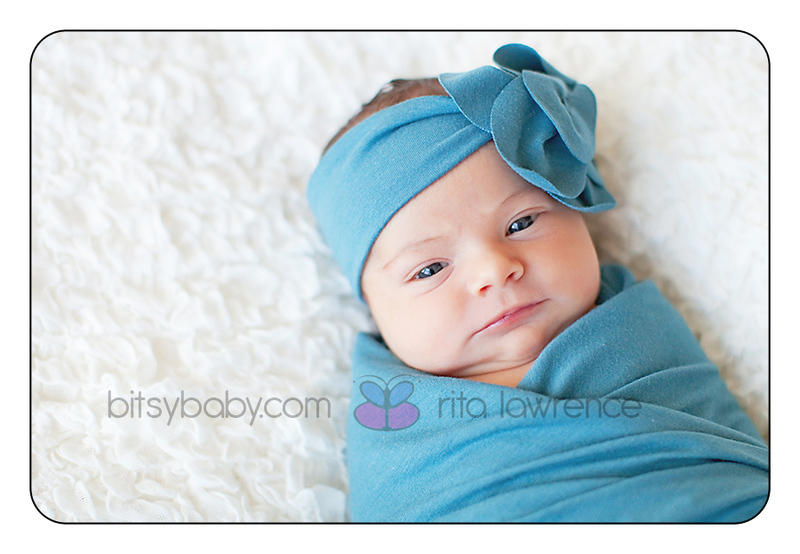 If you want to become more knowledgeable in the general techniques for photography, take a class from Rita at Bitsy Baby Photography, and learn essential knowledge to use your camera at home. In these workshops you will learn about 10 key elements to capturing impressive images, elements of exposure (ISO, shutter speed, aperture), basic camera modes, resources for printing and sharing, and an introduction to lens capabilities. The basic knowledge offered in this workshop will help you take all types of pictures! While it is important to sharpen your own general photography skills in order to capture beautiful images of your newborn and family, it is nice to start right away with a professional newborn photography session before you embark on your own ventures. It is so valuable to capture the first days of a child’s life and it comes in handy to take some studio shots so that you can get beautiful photos, guaranteed. You will be grateful to have those first couple of moments captured in an image that has been carefully tailored by an expert. You don’t want to wait before you start documenting your family and all of your experiences, so start learning some skills that you can put to use for the rest of your life.